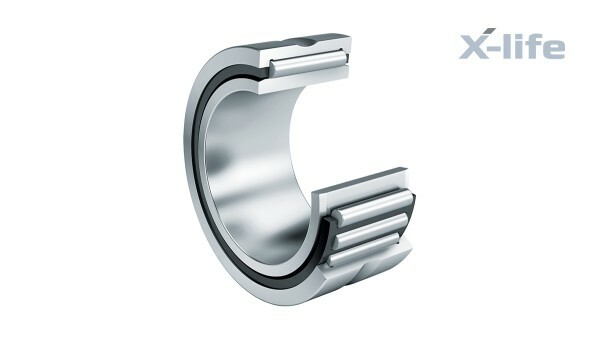 Needle roller bearings have a long track record as proven machine elements for the design of radially compact bearing arrangements with very high load-carrying capacity. In X-life configuration, they now have an up to 50 % longer service life. Needle roller and cage assemblies are single or double-row units comprising cages and needle rollers. As their radial design height only corresponds with the diameter of the needle rollers, needle roller and cage assemblies can be used to realize bearings with a minimal radial design envelope. They have high load carrying capacity, are suitable for high speeds and are particularly easy to fit. If the raceways are produced to high geometrical accuracy, bearing arrangements with high runout accuracy can be achieved. The radial internal clearance can be influenced by the needle roller sort as well as by the shaft and housing tolerances. Needle roller and cage assemblies require a hardened and ground raceway on the shaft and in the housing. 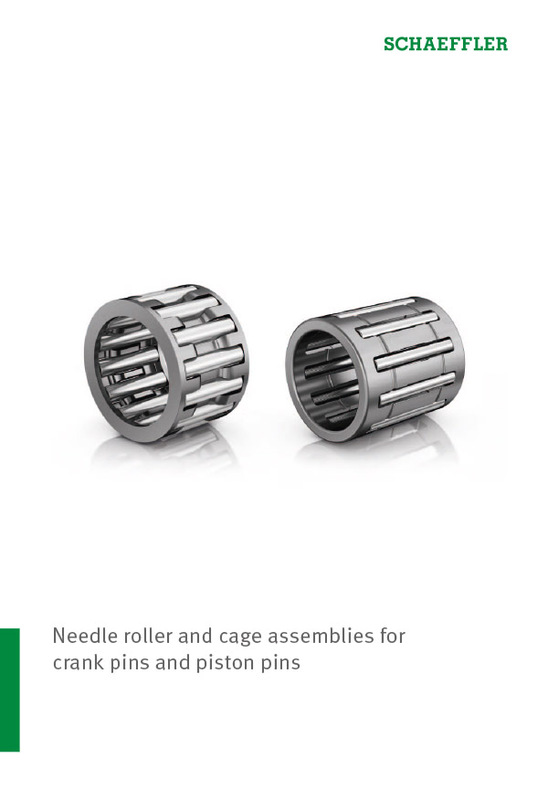 Drawn cup needle roller bearings with open ends are supplied with a needle roller and cage assembly or a full complement needle roller set. Bearings with needle roller and cage assemblies allow higher speeds than the full complement designs. 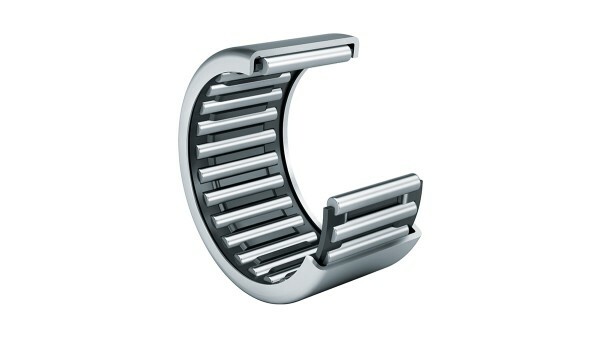 Full complement drawn cup needle roller bearings with open ends have the maximum number of needle rollers and therefore offer extremely high load-carrying capacity within a very small design envelope. However, their use at high speeds is restricted. Since the needle rollers are not retained by mechanical means, they are secured for transport and fitting by means of a special grease (DIN 51825–K1/2K–30). However, this does not have adequate long-term lubrication capacity. Relubrication is therefore recommended after fitting. 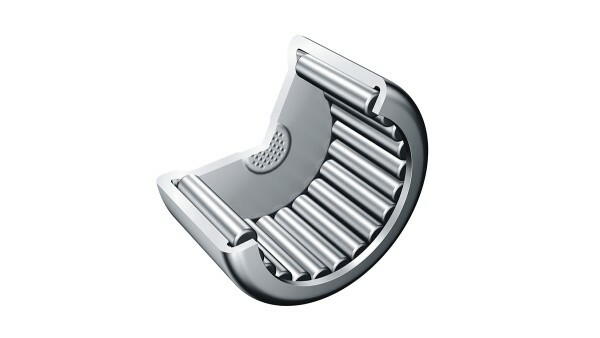 Some designs of drawn cup needle roller bearings are closed at one end. 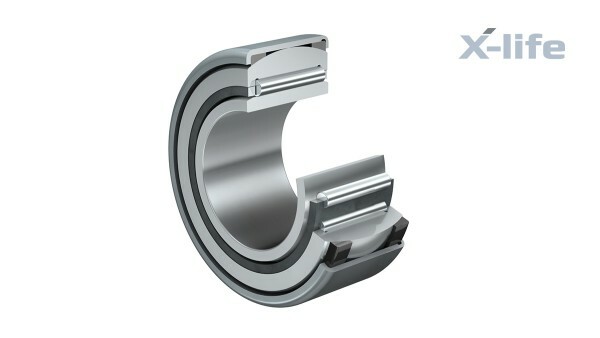 They are thus suitable for closing off the shaft ends of bearing arrangements. 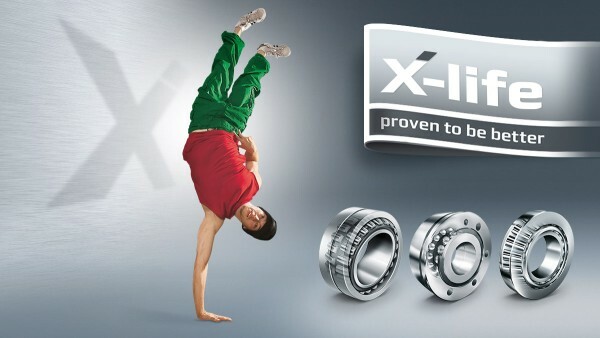 This provides protection against injury by rotating shafts and protects the bearing against contamination and moisture. 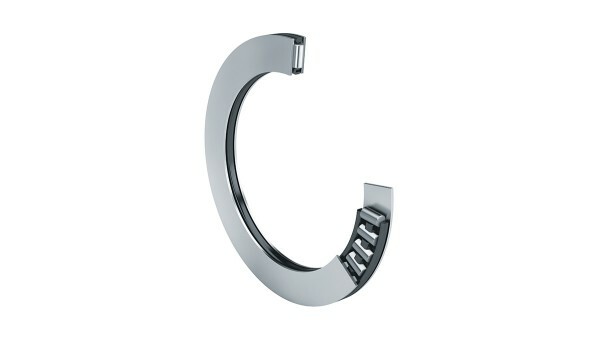 Depending on the size, the base is either smooth or lock-beaded (stiffened). Due to the profiled base, small axial guidance forces are possible. 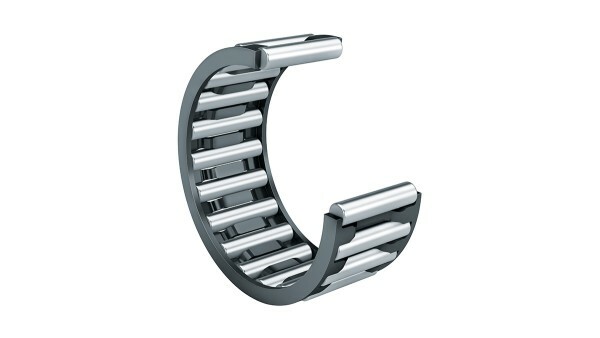 Aligning needle roller bearings are units comprising drawn outer cups, plastic support rings with a concave inner profile, outer rings with a spherical outside surface, needle roller and cage assemblies and removable inner rings. The bearings can compensate static shaft misalignments and can therefore tolerate misalignment of the shaft relative to the housing. Aligning needle roller bearings are firmly seated in the housing bore. The bore can therefore be produced easily and economically. IR inner rings have a precision machined raceway. 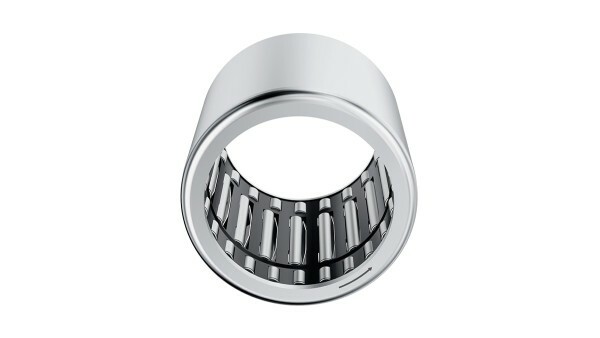 Chamfers on the end faces allow easy insertion into the bearing and prevent damage to the seal lips of the bearing. 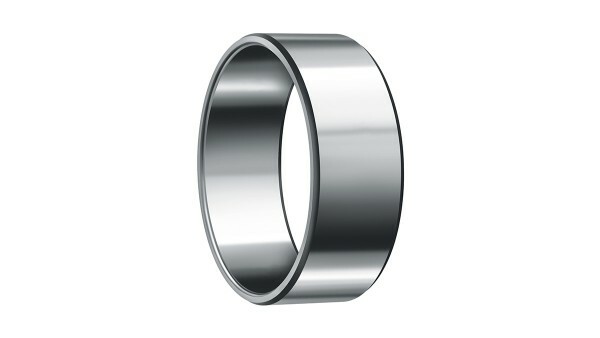 Inner rings are available with and without a lubrication hole. LR inner rings have a ground raceway. The end faces are turned and the edges are broken. These rings have larger tolerances than the IR rings. They are thus suitable for applications that allow larger width tolerances and less demanding requirements for axial runout. Axial needle roller and cage assemblies consist of plastic or metal axial cages with integrated needle rollers and have a very low axial installation height. They support high axial forces in one direction. Radial loads must be supported by separate means. Axial needle roller and cage assemblies require hardened and ground running surfaces as a raceway. Axial bearing washers are punched, through-hardened, polished and suitable for use as shaft or housing locating washers. These washers are suitable for use where the adjacent machine part is unhardened but is sufficiently rigid and geometrically accurate. 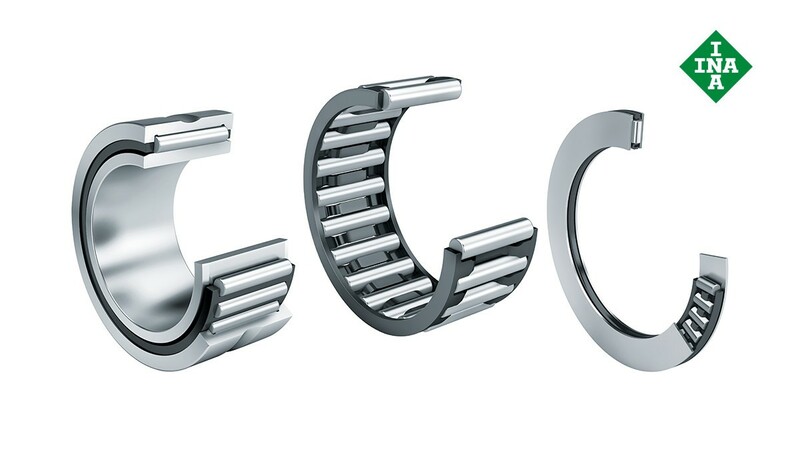 Axial needle roller bearings are construction units consisting of axial needle roller and cage assembles and thrust bearing washers with centering spigots. They can be combined with drawn cup needle roller bearings with open ends, drawn cup needle roller bearings with closed ends and needle roller bearings. The running surface for the needle roller and cage assembly must be hardened and ground. Drawn-cup roller clutches are one-way clutches comprising thin-walled, non-cut outer rings with ramps on the inside diameter, plastic cages, pressure springs and needle rollers. They can transmit torques in one direction and are radially compact. The roller clutches are available with and without bearing supports. Drawn-cup roller clutches give very precise indexing, since the individual spring loading of the needle rollers ensures continuous contact between the shaft, needle rollers and ramps. They allow high indexing frequencies due to their low mass and the resulting low moment of inertia of the clamping elements. They also have a low overrunning frictional torque. Drawn-cup roller clutches can be used in various applications such as indexing clutches, back-stopping clutches and overrunning clutches. 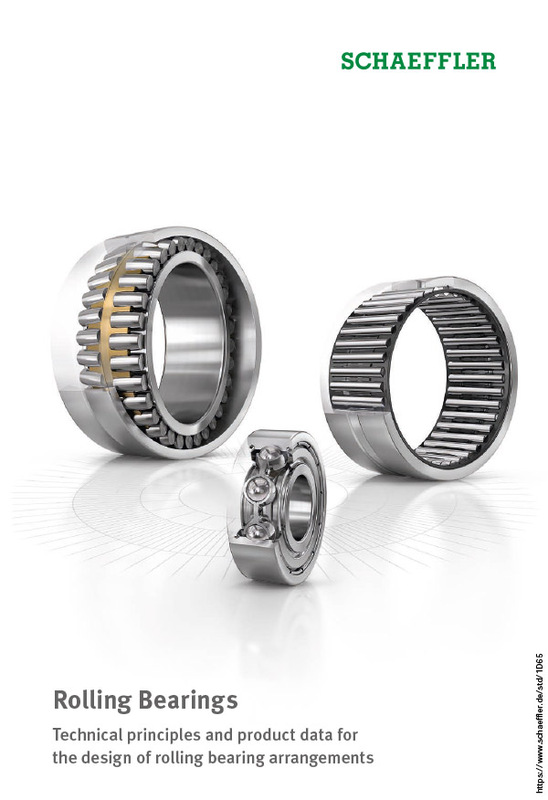 In these cases, the drawn cup roller clutch performs an overrunning or locking function.